Last week I was lucky enough to sit down with a real live CMO. 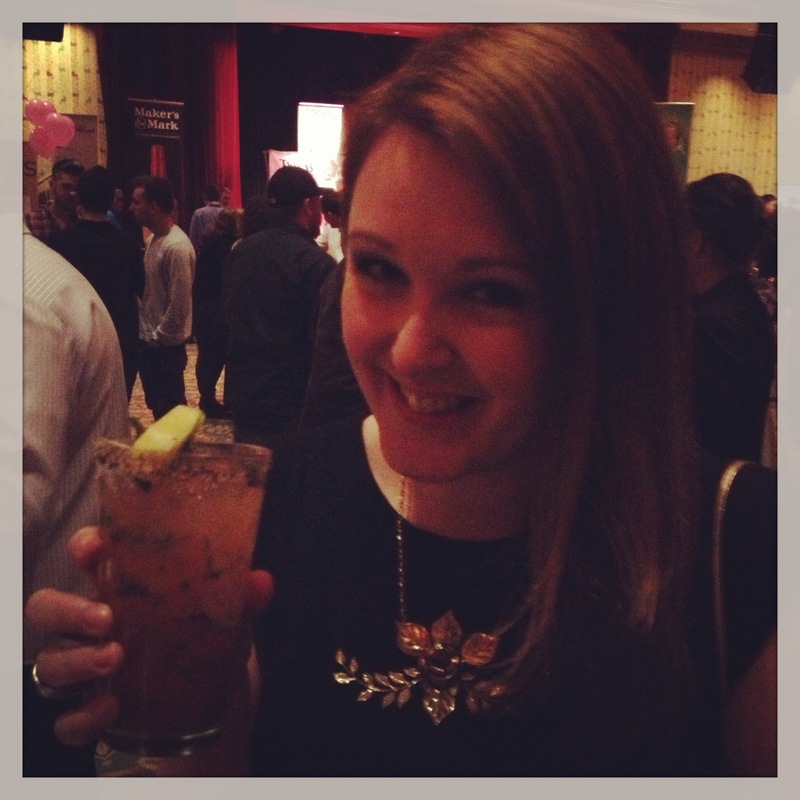 Clinton Pattemore is the Caesar Mixing Officer representing Mott’s Clamato juice all across Canada. What does a CMO do you might ask? Well I met with Clinton last Thursday morning at Your Father’s Moustache to find that out. Clinton started off his bartending career in Kingston, where he was raised, and fell in love with bartending while working his first serving job on a paddlewheel boat that cruised the Thousand Islands. He was fascinated with the expansive bar aboard the ship and relished in the liberties that he could take with experimenting in cocktails. What really sparked his interest in the realm of mixology was attending a seminar on bartending by The Modern Mixologist Tony Abou-Ganim after Clint had moved to Toronto and was working at Alice Fazzoulis’. Abou-Ganim’s discussion of the history of cocktail making really got Clint excited about mixology and experimenting with new (and classic) processes for cocktails. 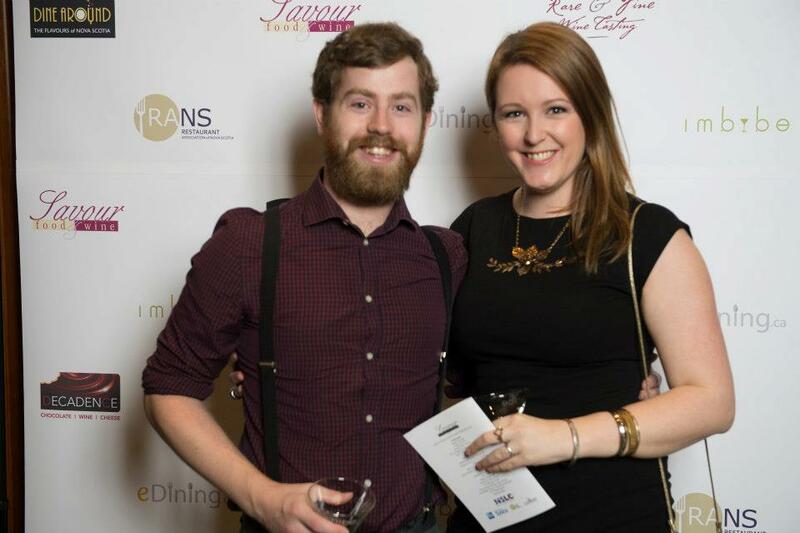 This passion became extremely useful during his four years teaching bartending in Toronto and led to consulting with various alcohol companies all over Canada and helping to start the Spirit House, Toronto Institute of Bartending’s cocktail bar. Since he started as CMO, Clint has created over 80 Caesar recipes, and loves testing the boundaries with the classic formula. He spends a lot of time trying to figure out where the line is between a Caesar and simply a cocktail that contains Clamato, and loves to experiment with different sprits, garnishes, and rims. In fact, Clinton believes that 30 to 40% of people order Caesers because of the garnish, and emphasizes how much they can make or break the drink, which is why he loves experimenting with different ingredients. He claims that “a recipe is a guideline…feel free to get creative and go on your own and experiment. Experimenting is fun with booze, if you mess up, you still get drunk.” Clinton is also very passionate about making Clamato a more versatile cocktail ingredient and is all about promoting the use of Clamato in lots of different cocktails. Being The Food Girl in Town, I just had to ask Clint about what food to pair with a Caesar. Clint claimed that seafood always goes well with Caesars, whether it be as a garnish or on the plate, and he also commented on the fact that though people often associate Caesars with brunch, there is a reason for that: simply because bacon and eggs are awesome with Caesars. In fact, he did a Brunch at Untitled Eats over the weekend, where he paired several breakfast/brunch courses with Caesars. He also encourages people to begin a meal or a night out with a Caesar, almost like an appetizer: “Always start with a Caesar,” are wise words to live by from the CMO. Caesar Clint was a font of knowledge for all things Caesar, and during the interview he was also nice enough to discuss some of the upcoming trends in cocktails for 2013. Much to his delight, Clint says that savoury cocktails are really coming forward in the upcoming months, with bartenders moving away from the classic, sweet, sour, or bitter cocktails, and thinking out of the box with condiments, syrups, and mixes in order to create more savoury and complex recipes. Another important trend that is rising in popularity is the making of in-house bitters, which adds to the artisanal qualities of craft production and creation of cocktails. Pre-batching is also a big trend seen in cocktail bars in order to lower waiting time for complicated mixed drinks; there are even bars that are devoting a tap to popular cocktails. I have a confession to make, I am not a huge fan of Caesars, and though I was very excited to meet with Clint, I did have to ask the question: For imbibers who don’t like Caesars, what do you say to those people to win them over? He replied: “I say that there are two kinds of people in this world, those that love Caesars and those who don’t know they love Caesars, you just haven’t had the one yet.” That being said, I was excited for the opportunity to try Clint’s recipes at Imbibe, and for him to win me over with his masterful mixology. Clinton was in Halifax over the weekend as part of the Imbibe cocktail event that was taking place at the Casino Nova Scotia. Imbibe is a newer addition to the Savour Food and Wine show calendar of events, and it is quickly rising in popularity with cocktail makers and cocktail drinkers, with restaurants and bars from all over Nova Scotia eager to showcase their best and brightest cocktail makers and mixes. 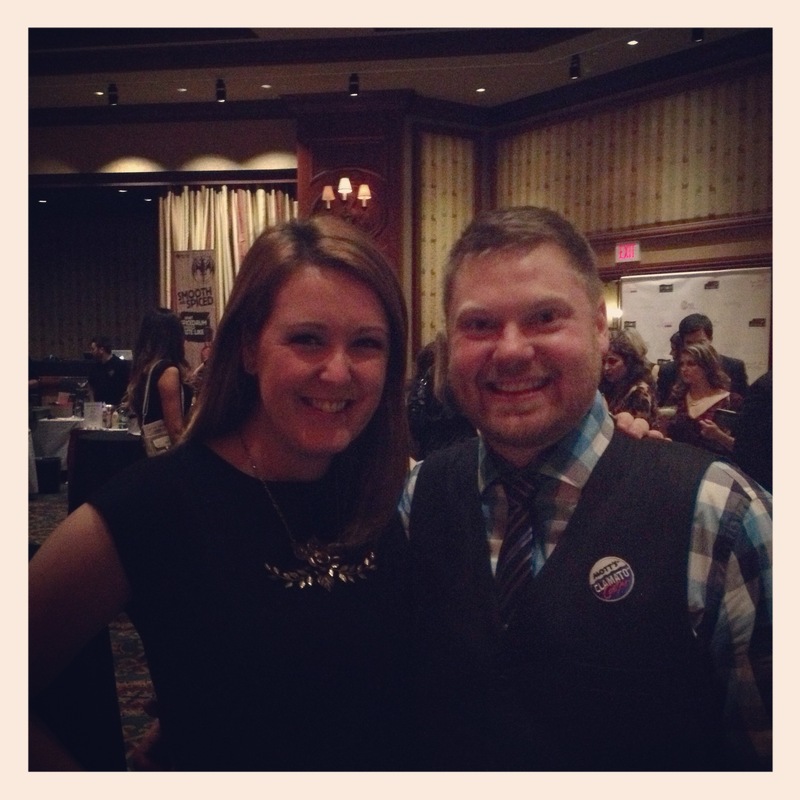 Adam and I were able to attend Imbibe on Thursday evening and what an imbibe we did have! Upon entering the event at the Casino, we were given a stemless martini glass that was to be our goblet of guzzling for the evening, and a fairly thick pamphlet entitled “Cocktail Guide.” We also had our picture taken like famous people! We then preceded to drink every cocktail in sight. The layout of the event was easy and certainly condusive to high consumption of yummy cocktails. 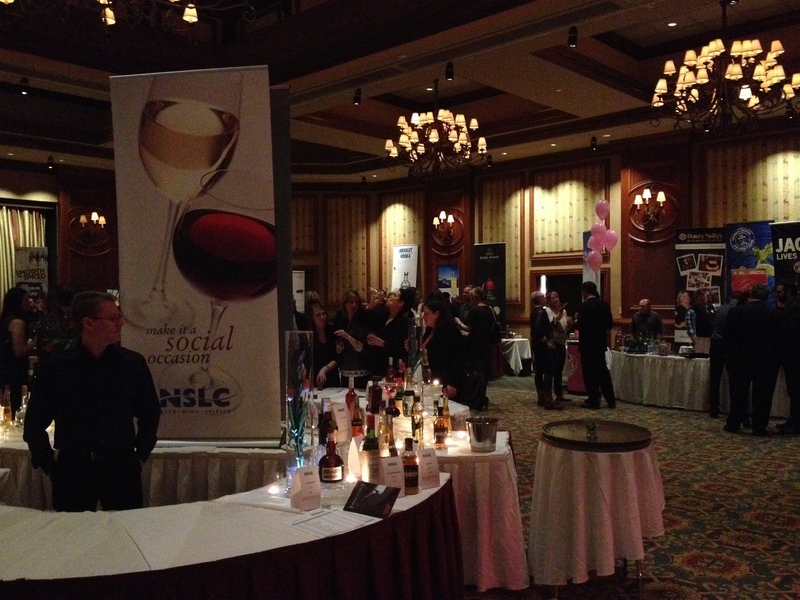 There were booths representing various bars and restaurants from all over the province lining the walls of the ballroom, as well as a giant table in the centre where the NSLC had a liqueur sampling booth. Adam and I tried a lot of cocktails: some we liked, some we loved, and some that I am still having nightmares about. The following are some of the highlights for us, and though this may not be a fair representation of all of the cocktails available at the event, it is fair to say that we did our best to try almost every cocktail. First on our list was obviously the Caesar Bar. Clint was excited to see us and made us two of the Caesars that he was preparing for the evening. For Adam he made the Soured Clam Cocktail, which is a pseudo Caesar/Whisky Sour. It did feel more like a cocktail than a Caesar, but as CMO, Clinton is all about experimenting with Clamato juice, and he definitely hit the bull’s eye with this one. The interesting flavours of Jack Daniels, Bitters, and Clamato were smooth and delicious. Clint made the Pineapple Basil Caesar for me which he had described to me during our interview and it did not disappoint. If there was any Caesar that was going to convert me, it was this one. It was spicy, sweet, and savoury all at the same time. I have to say, it was delicious, and I am well on my way to Caesar conversion thanks to Clint and his awesome mixing capabilities! Adam’s favourites of the event included cocktails from Tempo, Cut Steakhouse, and the Harbourfront Lounge. Tempo’s “Tempo South” containing Bourbon, Bols Apricot, and Smoked Pineapple was garnished with Bacon and was a comibnation of sweet and savoury that Adam enjoyed immensely. His favourite for the evening was probably Cut’s “The Underdog” which was actually one of the first he tried during the event. It contained Whisky (Adam’s favourite spirit), Bols Apricot, Orange Chipotle Simple Syrup, and Crodino. Adam’s honourable mention was the Casino’s own bar, the Harbourfront Lounge, and its cocktail entitled “Midnight Stealth” which contained Rum, Coffee Liqueur, Cinnamon and was served hot! It was almost like a Hot Toddy, but had more of a dessert flair to it; it was amazing! Among my favourites were the drinks from Jeff Van Horne of the Bicycle Thief. The “Italian Soda” was bitter and intersting with its sparkling wine and Campari, an Italian liqueur I am new to, but will definitely be experimenting with in the future. I also really enjoyed the cocktail from the Halifax Alehouse/Palace, which was much sweeter and desert like: “The Dark Cloud” contained Barcardi Superior, Bols Creme de Cacao, and Chambord, and was garnished with syrups and whip cream, yum! Morris East was the favourite for both Adam and I. 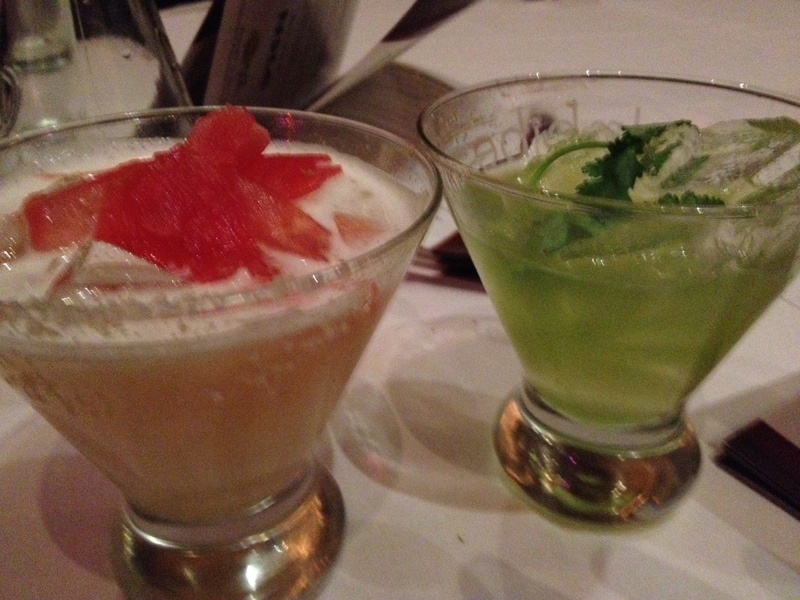 Both cocktails that were served at the event were interesting and delicious. My favourite of the booth, and of the night, was “The Patsy,” which contained Gin Citadelle, Elderflower Liqueur, Rosemary Syrup, Lemon Juice, and Sparkling Wine. It was amazing, I loved the fizz, the sweetness of the Elderflower which was complimented perfectly by the Roesemary. Adam liked the “Oxford Circus” which was a gin based cocktail, and contained Mustard! When I first saw the list of ingredients I was hesitant, but once I tried it, I fell in love. It had Gin, Gran Marnier, Orange Marmalade, Egg White, Lemon, and of course Mustard! The ingredients were balanced awesomely, and was a clear winner for both Adam and I! The last cocktails of our evening are also definitely worth mentioning. Gio is a restaurant located in the Prince George Hotel, and the booth matched the swank and modernness of the restaurant. It was decorated beautifully, and the cocktails were beautiful too! I had the “Cenote,” which had several layers of flavours with its ingredients of Tequila, Cilantro, Cranberry Juice and Jalapeno, it was spicy, very spicy. Adam’s “Sea Smoke” was also a complicated delicious drink with its Clam juice and hints of Habanero and topped with a barbequed Peach slice, also very spicy, but with more complexities. 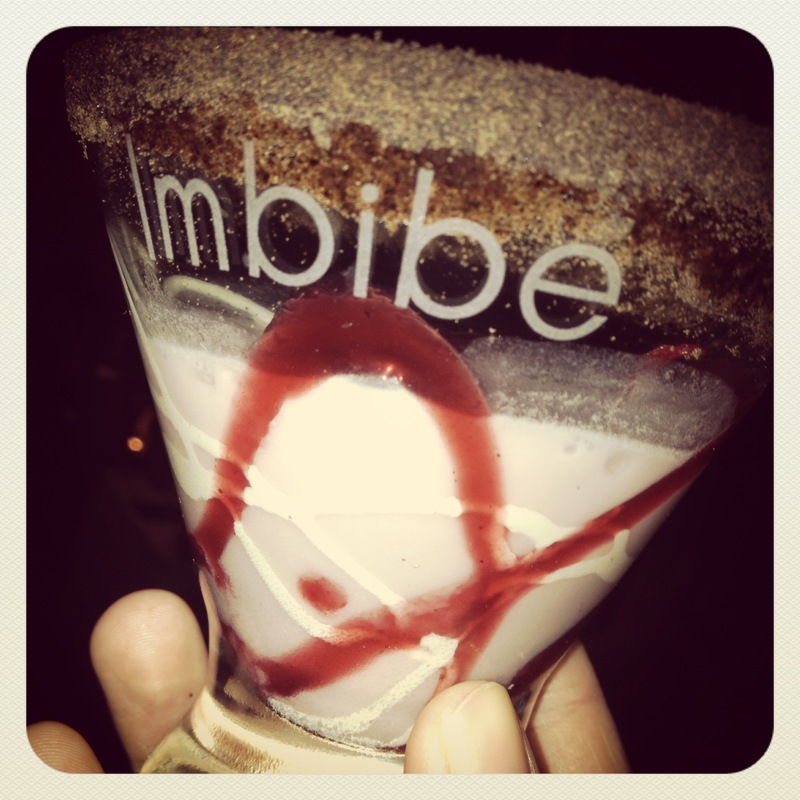 Overall, Imbibe was a great event, and a great time. It is a great opportunity for local bars and restaurants to showcase their bartending talents and to promote cocktail trends and favourites for 2013. In honour of the Imbibe vibe, Clinton was generous enough to give me the recipe for two of his delicious Caesars, and I am going to give you a chance to try and make them your own. Explore. Eat. 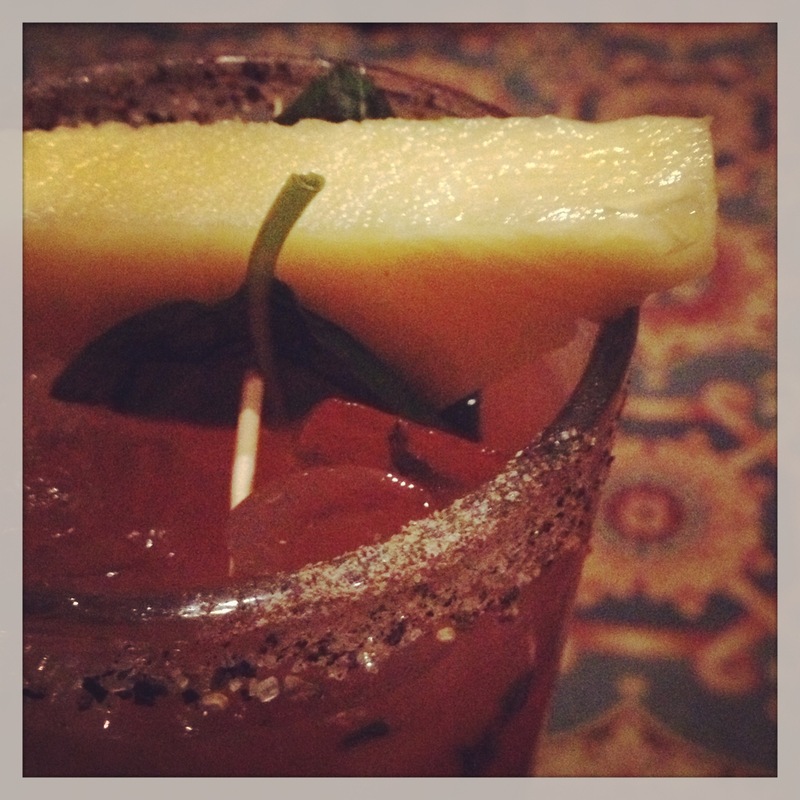 Repeat these delicious Caesar concoctions for brunches to come, enjoy!